Why Choose Fibre Optic Cables over Copper Cables? The decision on whether it’s time to upgrade to fibre-optic or not can be a daunting one. If you have usable internet with copper cables, do you really need to upgrade to fibre-optics? Many people cite the cost involved in the upgrade to be very off-putting. However, in most cases fibre-optics is a really smart practical and financial decision. We’ve put together a little list of some of the advantages of upgrading to fibre optic cable over copper. Copper cables were initially designed for the transmission of voices, and so they inherently have a limited bandwidth. Fibre optic network cables provide more bandwidth for carrying more data than copper cables which might have the same diameter. Fibre Optics have a core which carries light in order to quickly transfer data. 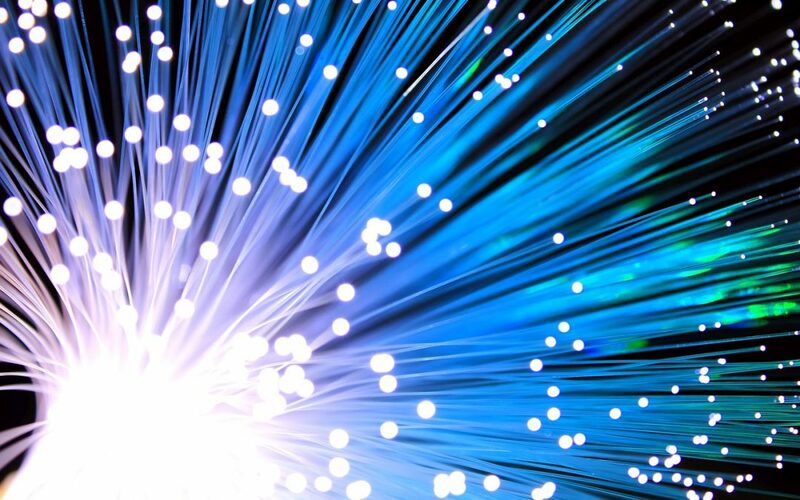 Fibre optics carry data at breakneck speed – these speeds are only about 31 percent slower than the speed of light- this is faster than Cat5 or Cat6 copper cables. There is a less signal degradation with fibre cables. Fibre optic cables carry signals significantly further than a typical 328-foot limitation for copper cables. Some 10 Gbps single mode fibre optics carry signals up to 25 miles. The distance depends on the variety of cable, as well as wavelength and network. While copper cables can be sensitive to severe weather and moisture, which can hamper their connectivity, fibre optic on the other hand is immune to temperature changes, weather conditions or moisture. In addition to this resistance, it’s also not affected by electromagnetic interference (EMI) this can interrupt data transmission. Unlike Copper Cables, Fibre optics don’t present a fire hazard, which is found in some instances of old and worn copper cables. Compared to the chunky copper cables, fibre optics are thinner, and lighter. It can withstand much more pulling pressure than copper, and therefore much less prone to damage and breaks. Fibre optic can be incorporated into existing systems and networks. Converters extend UTP ethernet connections over fibre optic cable. Modular patch panel solutions integrate equipment with 10Gb, 40Gb and 100/120Gb speeds to meet needs and provide ‘future proofing’. The panels in solutions can accommodate a variety of cassettes for different varieties of fibre patch cable. It might seem like it would be the obvious truth that fibre optic cables are more expensive, however while this is true for the initial cost, when comparing it to copper’s TCO (Total Cost of Ownership). Costs continue to decrease for fibre optic cables and related components as technology gets better and better globally.